A call from someone posing as a distressed grandchild needing emergency cash. An unannounced visit from men claiming they can repave a driveway at a discount. An email from a stranger who asks to be a penpal, then asks for money. All are scams, and all have been effective at bilking seniors out of thousands of dollars, a group of elder-fraud experts told a House Energy and Commerce subcommittee on Thursday. More than 25 million adults, many 65 and older, were victims of fraud in 2011, according to the Federal Trade Commission. The Government Accountability Office, Congress’ watchdog, estimates that “financial exploitation” cost seniors $3 billion in 2010. Experts say the true numbers are underreported because the elderly are especially embarrassed to report they’ve been victimized. Those living alone and suffering from dementia can be easy prey, they said. The problem is expected to get worse thanks to technological advances that have made reaching — and scamming — vulnerable seniors much easier, said Kay Brown, director of Education, Workforce, and Income Security for the GAO. She said it demands a national strategy that encourages cooperation and training among federal, state and local authorities, and an aggressive education campaign for seniors, she said. • The Elder Justice Coordinating Council, a group of high-ranking officials from various federal agencies, is working to come up with ways to improve coordination to combat elder fraud. • Officials in Jamaica promised Sen. Bill Nelson, D-Fla., and Sen. Susan Collins, R-Maine, last month that they will extradite scammers who use the false promise of lottery winnings to cheat seniors out of their savings. U.S. Sen. Amy Klobuchar believes America needs to do more to protect its senior citizens and disabled from abuse and neglect by their guardians. Toward that end the Minnesota Democrat — who held a roundtable meeting on the issue Friday at Duluth’s Keystone Bluffs Assisted Living Residence — has introduced legislation aimed at protecting seniors and vulnerable people. She bases the need for such protection on her experiences as Hennepin County attorney, on governmental reports and on the tribulations of people like Deanna Van de North. Van de North of St. Paul told the audience at Friday’s roundtable how her mother’s guardians moved her from an assisted-care facility in the Twin Cities to her farm in rural Minnesota. The guardians hired unlicensed caregivers to care for the 82-year-old woman, who was suffering from dementia and diabetes. Over five years the guardians wrote checks to themselves or to “cash” on the woman’s account totaling more than $60,000. They restricted family visits — not even telling most family members of the woman’s death until after her body was cremated. Klobuchar’s bill, the Guardian Accountability and Senior Protection Act (S.F. 1744), would provide money to help state courts improve procedures dealing with adult guardianship and conservatorship. It would also authorize a pilot program for conducting background checks on people wanting to be appointed as guardians or conservators. Only 13 states, including Minnesota, require such checks. Finally, the bill would promote using technology to better monitor, report and audit conservatorships of protected people. 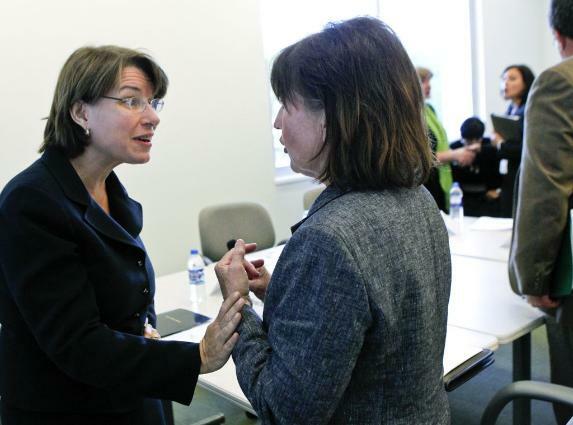 “We have all these amazing tools; let’s use them,” Klobuchar said. “We had a horrible experience,” said Van de North, who hailed Klobuchar’s legislation. Two Democratic senators have introduced legislation that would strengthen protections for seniors against abuse and fraud through court-appointed guardians and conservators. The Guardian Accountability and Senior Protection Act would protect seniors and persons with disabilities from neglet and financial exploitation by improving oversight and accountability for guardians and conservators at state and federal levels. 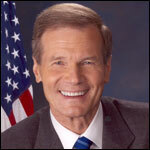 “While the vast majority of court-appointed guardians are undoubtedly professional, well-meaning and law-abiding, there is mounting evidence that some guardians use their position of power for their own gain, at the expense of the very people they were supposed to be looking out for,” said Amy Klobuchar (D-Minn.), who introduced the bill along with Bill Nelson (D-Fla.). The legislation would provide support to states to implement programs to increase oversight of long-term caregivers, and calls for state courts to assess the handling of proceedings relating to guardianship and conservatives before making recommendations for best practices. It would also help state courts implement an electronic filing system and a pilot program to conduct national and state criminal background checks in order to better monitor, report and audit conservatorships sand guardianships. In 2010, the Government Accountability Office (GAO) released a report identifying hundreds of allegations of physical abuse, neglect, and financial exploitation by guardians in 45 states and D.C. that had occurred in the previous 20 years. In 20 of those cases that GAO reviewed, guardians had stolen or improperly obtained $5.4 million from 158 incapacitated victims, many of whom were older adults. In a recent hearing on guardian abuse chaired by Klobuchar in the Senate Judiciary Subcommittee on Administrative Oversight and the Courts, the senator called for more accountability and oversight of court-appointed guardians to ensure seniors’ safety and proper care. U.S. Sen. Amy Klobuchar held a hearing (Thursday, Sept. 22) on protecting seniors and persons with disabilities from abuse and neglect by guardians. During the hearing, Klobuchar called for more accountability and oversight of court-appointed guardians to ensure that seniors are safe and receive the care they deserve. Klobuchar chairs the Senate Judiciary Subcommittee on Administrative Oversight and the Courts. Klobuchar invited Minnesota State Ombudsman Deb Holtz to testify at the hearing. Holtz serves as the State Ombudsman for Long-Term Care, a service of the Minnesota Board on Aging, and is the top consumer advocate for thousands of elderly Minnesotans. In addition to Holtz, other witnesses that testified at the hearing included Kay Brown, Director of the GAO’s Education, Workforce and Income Security team; Naomi Karp, Strategic Policy Advisor for the AARP Public Policy Institute; Robert Baldwin, Executive Vice President and General Counsel for the National Center for State Courts; and Michelle Hollister, Managing Partner at Solkoff Legal, P.A., and former Executive Director of the Florida Statewide Public Guardianship Office. Senate Subcommitee Hearing on Guardianship This Thursday! The Senate Committee on the Judiciary has scheduled a hearing of the Subcommittee on Administrative Oversight and the Courts entitled “Protecting Seniors and Persons with Disabilities – An Examination of Court – Appointed Guardians” for Thursday, September 22, 2011, at 2:30 p.m. in Room 226 of the Dirksen Senate Office Building. Note: This hearing will be webcast – click the Source link to view! You are currently browsing the archives for the US Special Senate Hearing category.